A world-renowned single-engine aircraft, the T-6A Texan was a trainer plane with a two-seat glazed canopy cockpit. It comes equipped with modern digital instrument panels and is configured with forward and rear control positions allowing the student and instructor to change seats when necessary. As a trainer, the T-6A Texan was more than capable; it reached operational speeds of over 200 mph, a 750-mile range, and a ceiling of over 20,000 feet. It was used heavily by military branches around the globe during the Second World War, training thousands of pilots in general flight and fighter tactics. 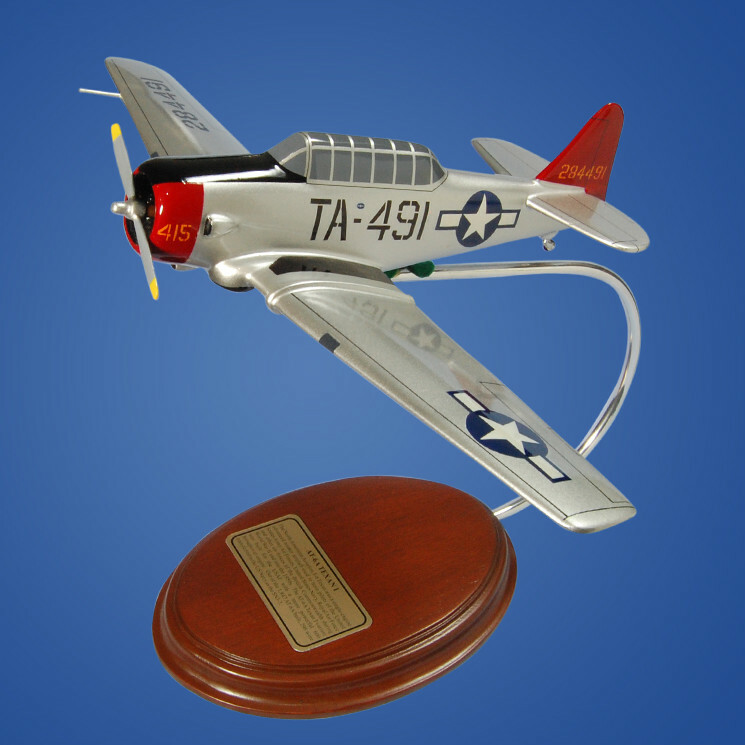 Although the T-6A Texan was a trainer aircraft, optional armament was available in the form of two forward-fixed 7.62mm machine guns. It is also capable of a variety of aerobatic maneuvers due to its exceptional thrust-to-weight ratio.